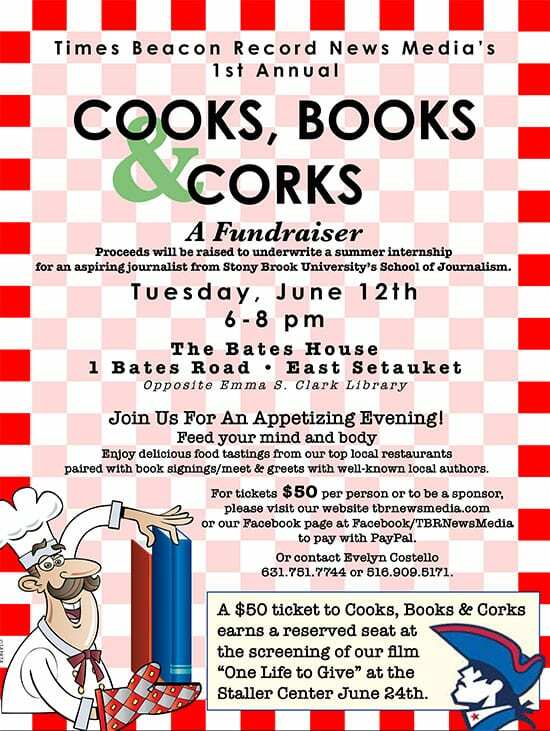 Cooks, Books & Corks. Select quantity. 631-751-7744. Or you can stop in to purchase a ticket.